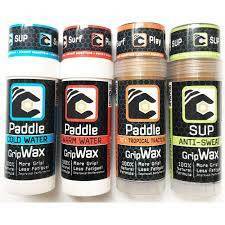 SUP (Stand Up Paddle) Paddle Grip Wax. Harder wax formulated to repel sweat from paddle and stay on grip area longer. Perfect for the summer months and tropical locations.Anti Sweat...SUP (Stand Up Paddle) ANTI-SWEAT? : Moderate adhesion/tackiness. Moderate density/hardness. Displaces water & sweat. Great All-Temp/All-Purpose formula. Thickens easily, wont flake or migrate, not messy. Tropical Water Wax: For water temperatures 21 degrees or warmer. Harder wax with less tackiness formulated to stay on grip area perfect for the summer months and tropical locals.TROPICAL TRACTION? : Water temps above 21?C. High adhesion/tackiness. Denser/harder to avoid flow/migration in highest temp ranges. Will not become gummy or stick to hands. Well suited to warmest water paddlers/surfers and equatorial regions. Cold Water Wax:For water temperatures 17 degrees or colder. Highly tackified and somewhat softer; formulated to retain it's adhesive characteristics and controlled flow in water temperatures < 63 degrees. Popular with cold region surfers and whitewater/surf kayakers. So....sounds great but where can we buy this grip in Oz? Please. Hi Captainjimbo, i'll email you but you can get if from www.jimmylewisboards.com.au or hopefully your local retailer in very soon.. Cheers JR. Order coming through soon. I tried to order from the website but it would only show customer pickup? No issue with this unless pickup is in Brissy and I am in Wollongong!! What are our options here?? Any distributors down this way yet? Hi Emeboy, sorry i'll fix that now but if you put your details in I'll post it for free. Recently had my shaft waxed and love it. Its un-nerving when you constantly loose your grip. I recomend this for anyone that suffers from a slippery shaft. 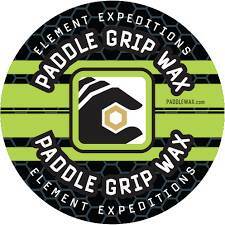 i meant to say the new paddle grip wax is awesome!!!!! disclaimer : I m sponsored by paddle grip wax , (1 block per year). This wax is amazing! 3-4 degrees air temp and 8 degrees water temp using the cold water product. Two hours of surfing this morning. What was great was when paddling and surfing I could use a light grip and generate more power. 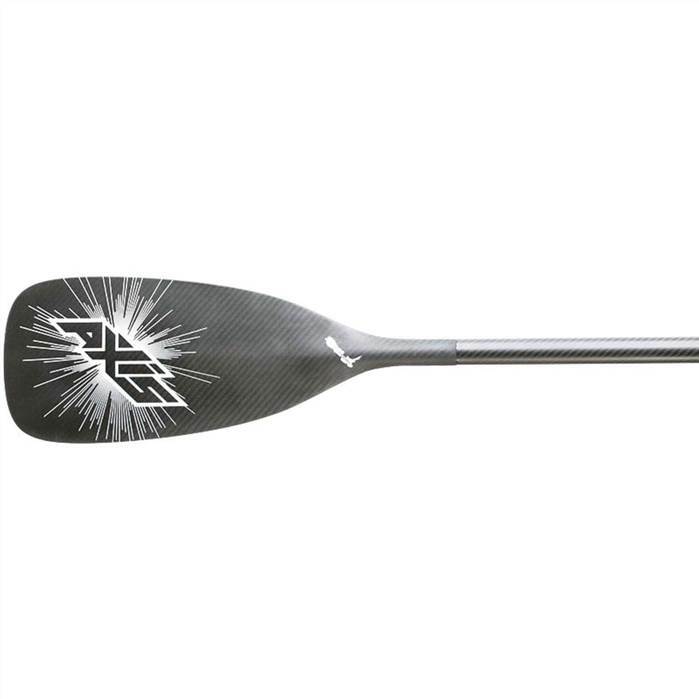 From other paddling sports I know that too tight a grip will decrease the efficiency of my stroke. Also I get up from a kneeling position using the "Creek" technique and the great grip on the paddle really helps. Good applicator design. Well worth the wait and expense. I agree. I've only paddled a couple of times with the wax on [Grandpa duties at the beach, plus no surf!] and it's great. Can get a bit soft after a long paddle so you just need to fall off and get the grip wet....and I fall off regularly! Great product JL! Wonder if it would work on a windsurfer boom. The Eva grip is shot. So could remove all of the grip and try this stuff out. Would it melt off in the sun. It gets pretty hot when boom is on top of the car. For qld temps would you recommend the warm or the tropical wax?